The 2018 Ford F-150 is back and better than ever. Ford has ensured that this F-150 is incredibly capable, versatile, and ready to make any job easier. Every F-150 is ready to perform with its included 3.3L Ti-VCT V6 Engine that packs a powerful 290 horsepower. The F-150 is able to operate very well when tackling most everyday hauling and towing jobs, and it’s simple to change between them with the included 3 drive mode capability. Add in all wheel drive for an unmatched caliber of performance. Your new F-150 is available now at College Station Ford at a low starting price of just $27,705. The 2018 F-150’s exterior is true to its Ford truck heritage, and is also very customizable. 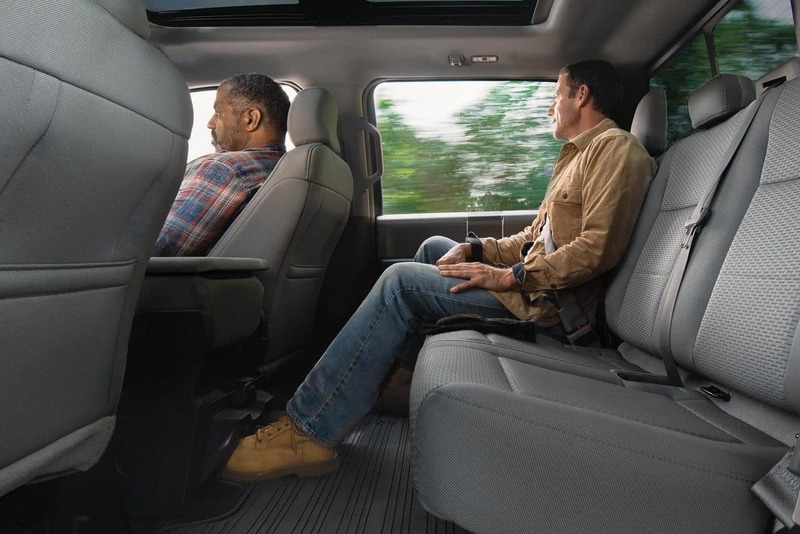 Choose from Regular two-door, SuperCab, or SuperCrew four-door cabins, and a 5 ½, 6½, or 8 foot truck bed. Every 2018 F-150 is built to last with a technologically-advanced military grade aluminum alloy body including high strength steel construction. Aluminum alloy makes your F-150 resistant to dents and corrosion over time, but it also makes the truck lighter than was previously possible. F-150 also comes in 14 different colors to satisfy any taste. Choose from seven different trims to customize your F-150. The starting XL trim is well equipped with AdvanceTrac with roll stability control and a rear view camera that has a dynamic hitch assist. In our reviews of the F-150 we found this feature to be invaluable when towing any size load. Next in the fleet is the XLT. XLT features a bold chrome 2-bar style grille and 17 inch silver painted aluminum wheels. 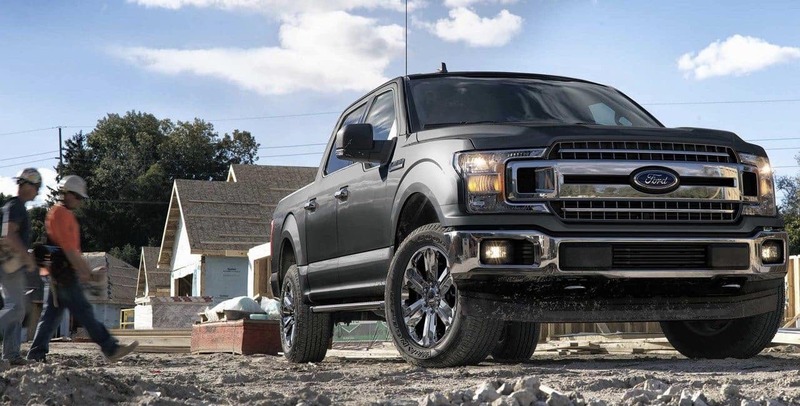 The F-150 Lariat is a force to be reckoned with because of its 2.7L Ecoboost direct injection engine, Sync 3 smartphone tethering system, and a 10-speed transmission. The Raptor F-150 model is most at home when tackling unrelenting terrain, or competing in events like the punishing outdoor Baja 1000. Raptor owes its performance to a high-output 3.5L Ecoboost engine, and offroad FOX Racing Shox. Ford engineers created the 2018 Raptor to be almost 500 pounds lighter than previous versions. 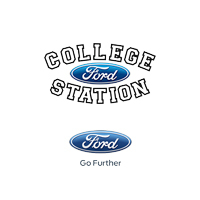 Look no further than College Station Ford for incredible offers on new and used vehicles. We are proud to help people from all over Texas find their next car or truck. If you live near Bryan, Navasota, Hearne, Huntsville, or beyond we want to hear from you! 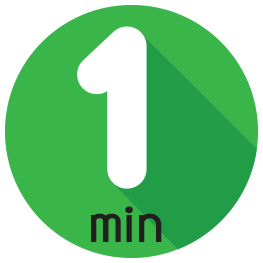 Pick a date to meet with one of our friendly representatives and test drive the new 2018 Ford F-150.